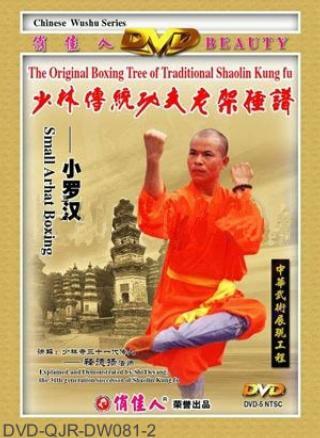 Shaolin Small Arhat Fist (Shaolin Xiao Luohan Quan) is also called Three-section Arhat Fist (San Jie Luohan Quan) or Old Frame Arhat Fist (Lao Jia Luohan Quan). It features with various foot-forms and techniques, and capable to deal with your opponent's protean attacks. However, it is a very exhausting routine and is only suitable for teenagers. With skillful practice, it would be helpful in enhancing your actual combat capabilities.